A very rare doll - 14" early hard plastic Story Princess for ZCMI Department Stores. The Story Princess read children's stories on KSL Radio every day from 5:00 to 5:15. This 14" Story Princess was an exclusive by the Alexander Doll Company for the ZCMI Department Stores based in Salt Lake City, Utah. Created around the character of the daily "KSL" Radio Show Princess, who would read stories for children from 5pm to 5:15pm daily. Both were owned by the LDS Church. The doll came in the stores classic gold box with the Alexander Doll Company label on the underside of the boxes lid. The doll also includes the special ZCMI hang tag, announcing that the Alexander Doll Company has made The Story Princess exclusively for the department store, with the radio station and time of the radio show included. Either included with the doll or kept by the original owner, there is a publicity photograph of the KSL Radio Station Show Princess in her costume, which includes her magic wand, which is also include with the doll. This is a very rare example of the exclusives the Alexander Doll Company did for different stores across the story. While New York based FAO Schwarz is the best known, so many other stores worked with Alexander on their own exclusives. Sometimes this meant a variation of fabric colors or trims. In this case, the doll is unique to the retailer which in turn is unique to the community and state it served. The doll appears to be a very early hard plastic doll right at the transition from composition to hard plastic around 1947 or 1948. This would correspond to the new format the station took. The station's owners made their initial foray into FM broadcasting in 1947 when they brought the original KSL-FM onto the then sparsely-populated FM dial at 100.3. With their then brand new beautiful music format, they were unique for the time in the radio industry. 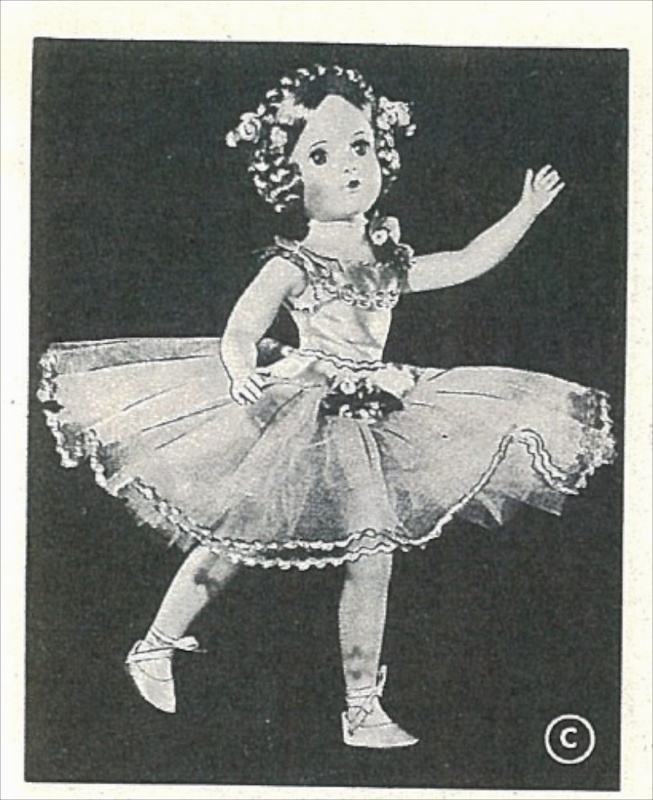 In 1948 ZCMI advertised "ZCMI Welcomes Back the Story Princess". Tying these events together, it could be very likely the doll was commissioned to take advantage of the different elements related to each other. 1948 newspaper ad by ZCMI Department Store for the Children's Radio Show on KSL Radio. The Story Princess of KSL Radio, harg tag from ZCMI Department Store in Salt Lake City, with the radio show times.